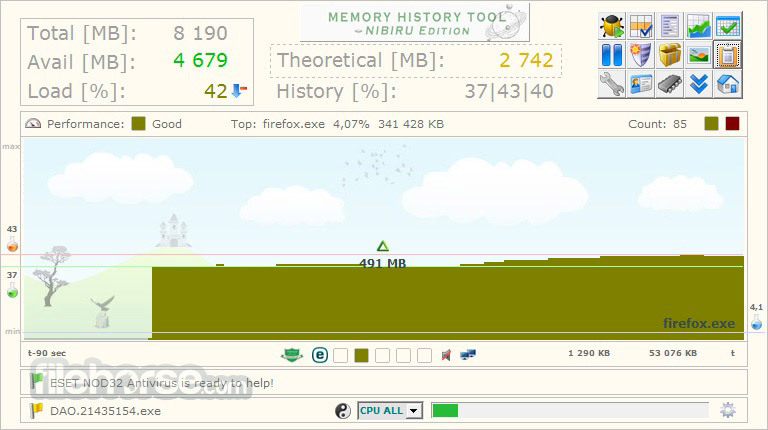 Memory History Tool is a Memory Usage Monitor software. 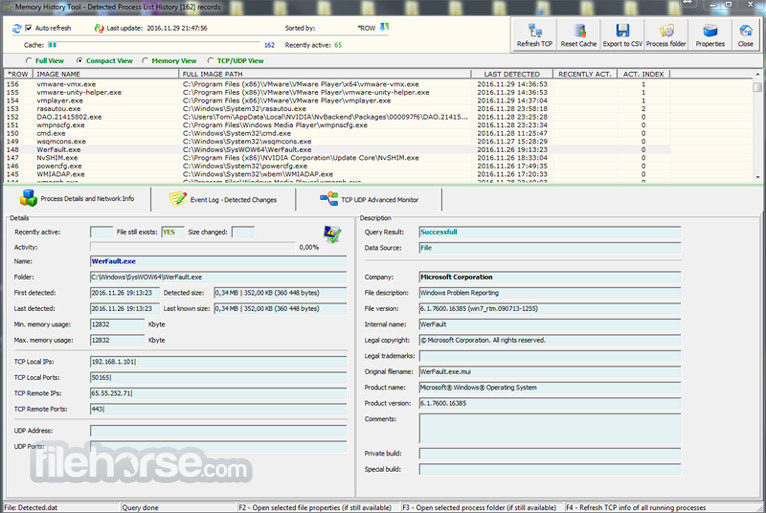 It is a freeware, lightweight and portable system software with antivirus support to compute and gather historical data of Microsoft Windows System Memory Usage and Running Processes in real-time. 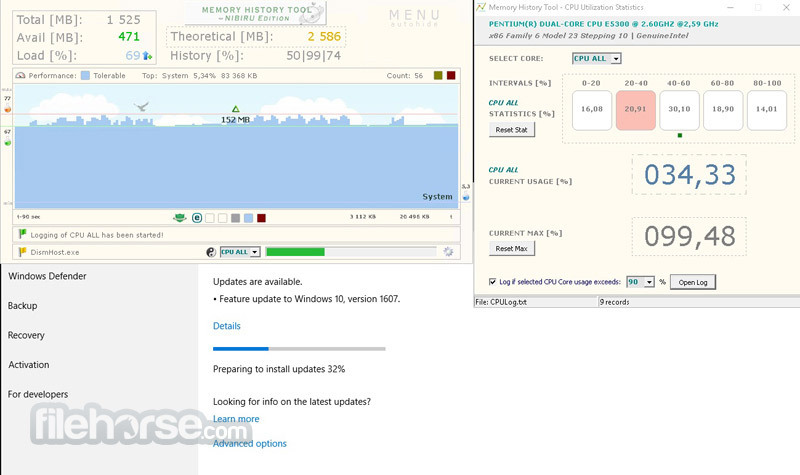 Memory History Tool supports latest Windows Editions and Windows Server Operating Systems as well. Using the software you can diagnose system memory historical data, find processes which consuming the highest amount of memory, view per-process memory usage graphs for selected or all processes and many more functions. You can check easily whether the installed system memory (RAM) is enough for the everyday use for your favourite game, CAD/design software, video editing application or you have to disable some system services, stop processes, uninstall troublesome applications, or should upgrade to more RAM. You can explore the running processes, find unknown ones easily, scan unknown processes or all memory for viruses, easily check their folder path, view their properties, or export them to a simple, portable csv file format. This utility can do the job for You. It is continously working when you are away, so you may analyze the hystorical data any time. Let the software run for hours or days so you will get surely a better picture about the system resources. If You want to understand more what is happening in the background when You are using Your favourite Windows Edition, this Tool can be the right choice for You. You will be amazed how much RAM your Browser/ Windows Update/ Security Softwares/ Games eating up resulting to slower response of the Operation System and worsen the experience. 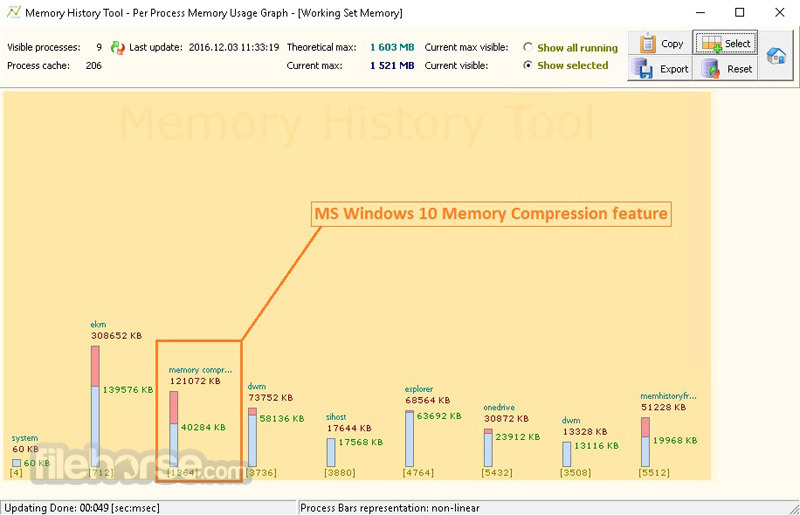 Memory History Tool is Amazing tool for Windows PC!